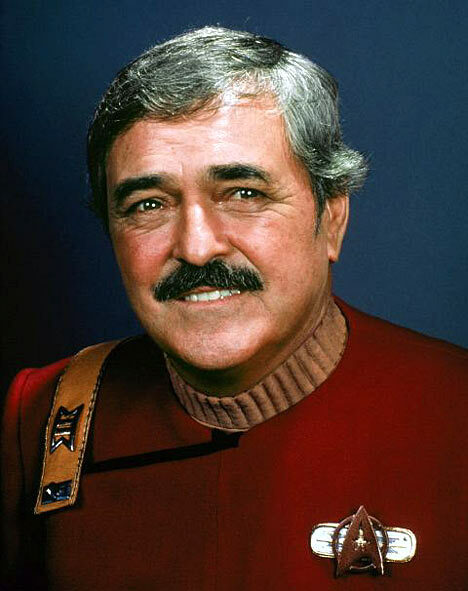 In a unanimously tear-jerking and totally awesome move, James Doohan, otherwise known as Star Trek's Scotty, has had his ashes blasted into space. They were launched yesterday morning aboard the SpaceX Dragon, the first private company spaceship scheduled to dock with the Space Station. If anyone deserved to have their ashes launched into the stratosphere, its this guy. Not only did he play the most excellent engineer, but he seemed like a truly genuine guy, nothing but grateful for the attention and admiration that Star Trek bought him.